What causes someone to be denied bail? Judges Must Determine Whether Defendants Pose a Flight Risk or Risk to the General Public. More often than not, judges grant bail to defendants in order to ensure that the defendants appear for a future court date. However, bail isn’t always granted to the defendants. Judges usually consider several factors in deciding whether to grant a defendant bail. Public safety, defendant’s safety, and reasonable assurance of the defendant appearing before court are always factors. What Might Affect A Judge’s Decision? Capital Offense: Any capital offense, such as murder, is grounds for a defendant to lose bail. Evident Proof: If there’s a reasonable amount of evidence to presume guilt, a defendant might be denied bail. Felonies Committed On Bail: The court assumes that a defendant who is out on bail will not commit another felony while on bail. However, the judge can deny bail to defendants who commit felonies while out on bail. Multiple Convictions: Someone who has multiple convictions might be denied bail based on their history of felonies. 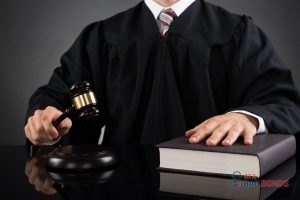 Public Safety: If the defendant is charged with a violent crime or sexual offense, the judge may decide that the defendant poses a danger to public safety and deny the defendant bail. These crimes could be anything from aggravated assault to murder. However, judges grant bail to most defendants charged with non-capital crimes. If you should find yourself or loved one in need of bail bond services, we will work hard to keep you out of jail. Contact ATX Bail Bonds at 512-834-2245.